Update: The Clip Show, airing May 8th. 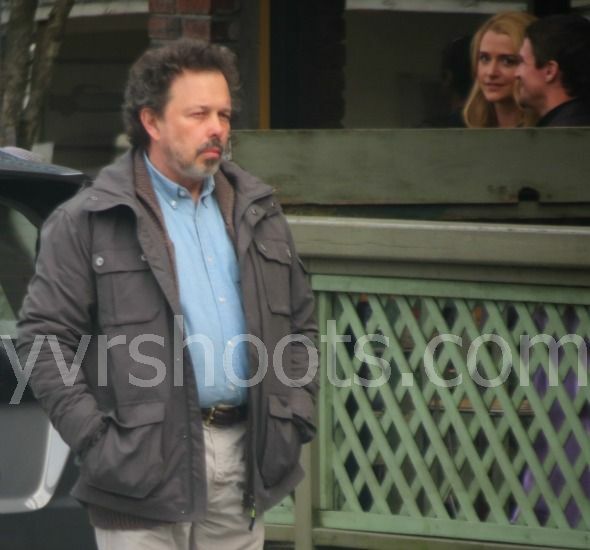 Metatron asks Castiel’s advice about the problems in Heaven. 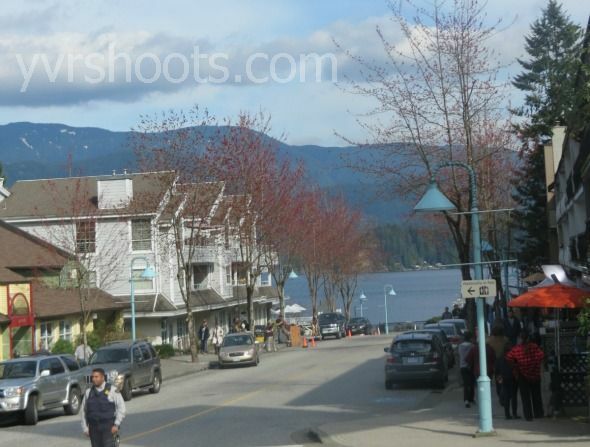 Supernatural spent the day filming in beautiful Deep Cove in North Vancouver on Wednesday. The day started with a patio scene at the Arms Reach Bistro of a conversation between two actors. 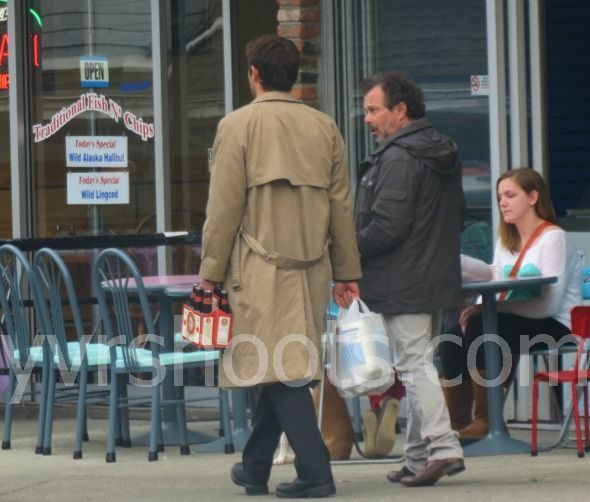 I didn’t get there in time to see who was on set but the afternoon scene of two actors walking down Panaroma Drive was of Castiel (Misha Collins), carrying groceries and beer, with [Curtis Armstrong (Booger from Revenge of the Nerds) as the reclusive angel Metatron, the scribe of God.] 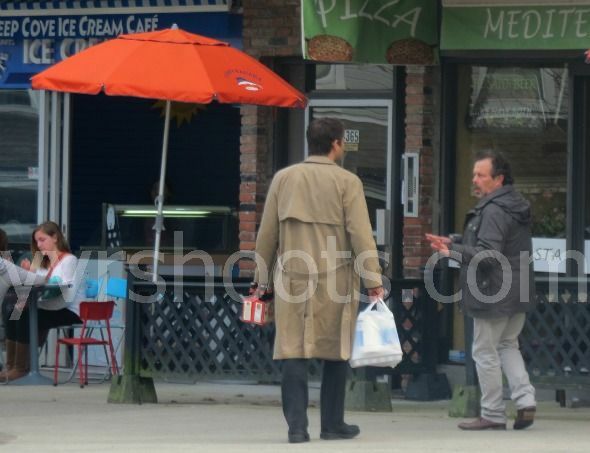 There was also an interior scene in the Panorama Market, maybe of Cas buying what looked like toilet paper. 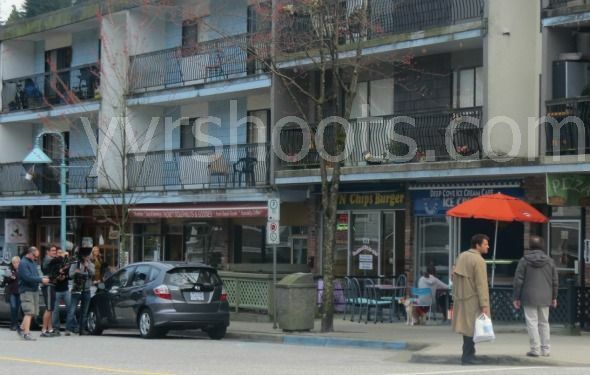 Later that night, Supernatural returned to the patio of the Arms Reach Bistro for a scene of two actors watching the waitress close down the restaurant while “an actor with a knife” stood on the cul de sac opposite (according to the film notice). I wish I could have stayed for that. 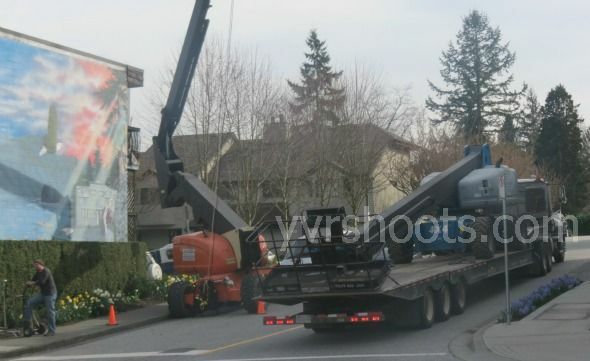 Fans have some ideas about who the actor with a knife might be but we’ll have to wait and see. 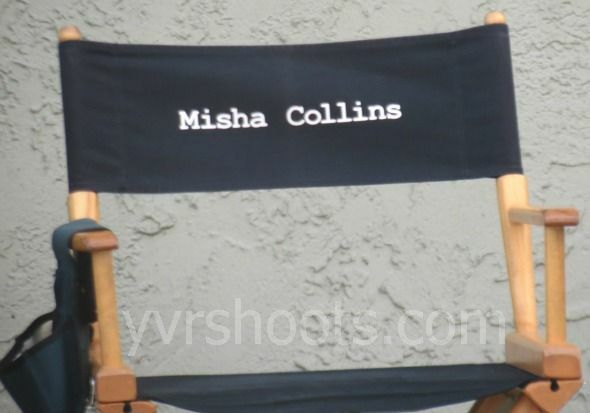 My first clue about cast on set. Steadicam crew ready to film the walk and talk. Traffic jam at Gallant Avenue & Panorama. 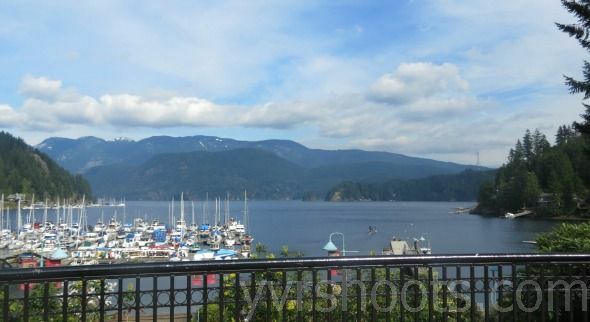 View of Deep Cove from the foot of Panorama Drive. I Love Curtis Armstrong! 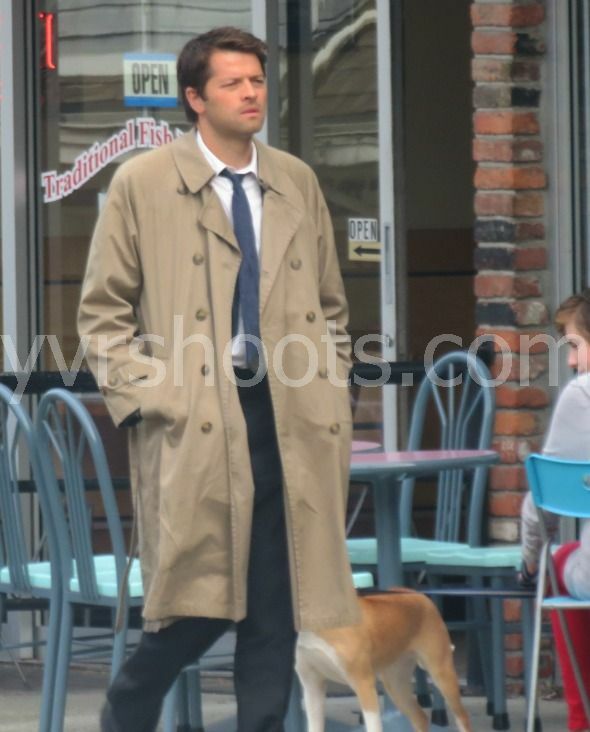 I’m sure he will make a great Metatron. 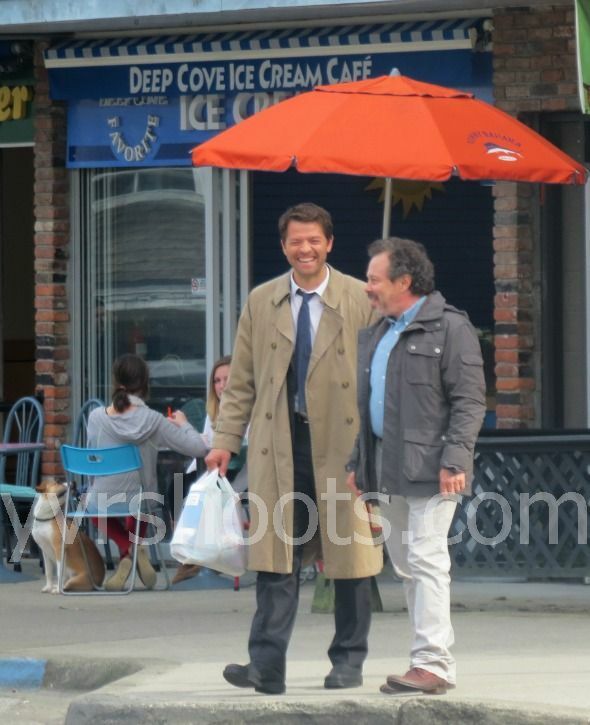 I’m hoping Metatron and Cas are on good terms…we’ll see how it plays out.